Commanding attention with Darcy Nutt‘s sweet and soulful, yet haunting, siren-like vocals, Pacific Northwest’s Uzala isn’t your typical, run of the mill, female fronted occult rock band. 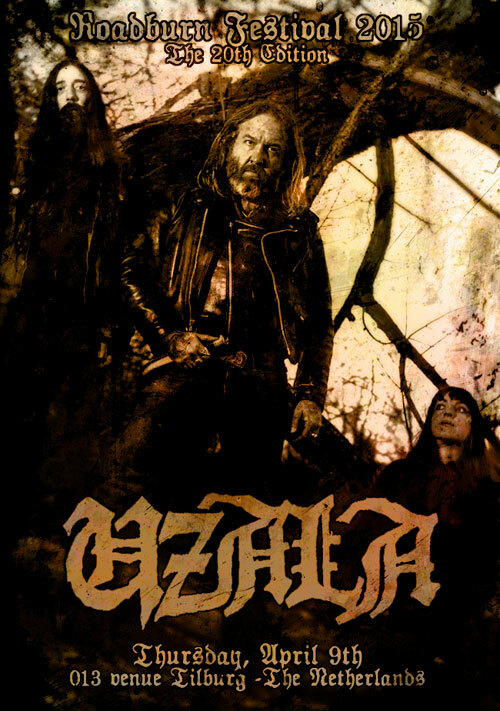 Instead, Uzala has a way more sinister approach, paring psychedelia, blackend sludge and distorted noise with pained, murky, heavy doom, turning sophomore effort, Tales of Blood & Fire, into a dirty, captivating affair that goes straight for the jugular. Uzala will cauterize the 20th edition of Roadburn with their narcotizing burn on Thursday, April 9th at the 013 venue in Tilburg, The Netherlands. Roadburn Festival 2015 will run for four days from Thursday, April 9 to Sunday, April 12 at the 013 venue in Tilburg, The Netherlands. Get your tickets HERE.